Created to provide helpful information about the Delaware Cannabis Industry. Delaware’s medical cannabis program is unique from the rest of the country. Instead of offering individual license types for each phase of the seed-to-sale process (cultivation license, producer/processor license, and dispensary/retail license), Delaware offers a vertically integrated license type that covers cultivation, processing and dispensing of medical cannabis, known as Compassion Centers. Compassion Centers in Delaware are vertically integrated cannabis businesses that handle cultivation, processing, and dispensing of medical cannabis to qualifying patients. 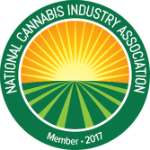 These licensees own and operate the cultivation/growing facility and the dispensary; processing various cannabis extracts and edibles is done in-house at the dispensary or cultivation facilities. Cultivation Facility – More commonly known as grow facilities, this is where the cannabis plant is grown from a seed to a mature plant to be harvested and processed into extracts or sold as plant material. Processors – Processors take harvested cannabis from Cultivators and create derivative extracts for edibles, concentrates, topicals, and prepacks. Dispensary – Retail medical cannabis businesses where qualifying, registered patients can purchase medical cannabis for medicinal use. How many Medical Marijuana licenses are being awarded in Delaware? First State Compassion – Wilmington, DE. What kind of tracking system do I need to operate a Licensed Cannabis Facility? Most states require an extensive seed-to-sale cannabis tracking system to monitor every step of the cannabis supply chain; cultivation, processing and manufacturing, transportation, lab testing and retail dispensary point of sale. Our seed-to-sale-tracking solution provides comprehensive conversion tracking focused on compliant data points. Customized to meet the unique regulatory frameworks in each state, BioTrackTHC also features an all-in-one business tool to help you operate every aspect of the cultivation business by itself, or as part of the vertically-integrated cannabis business. Patients in Delaware are allowed to purchase medical cannabis from a licensed Compassion Center once they’re registered with a qualifying condition. Delaware does not permit medical cannabis patients to grow their own medicine. How can I obtain a Delaware Medical Cannabis Card? Must be a resident in the state of Delaware. Patients under the age of 18 years, must be certified by a pediatric specialist. A separate application form for minors is provided on the Program’s website. Submit the Physician Certification, which should be completed by the qualifying patient’s physician and is attached to the application provided on the Program’s website. Sign a consent for release of medical information related to the qualifying patient’s debilitating medical condition. Registry identification cards usually have to be renewed once a year. Does my medical condition qualify for a Medical Cannabis Recommendation in Delaware? Here’s a list of qualifying conditions defined by Delaware state law. To request new conditions, please follow the instructions found here. Post-traumatic Stress Disorder (PTSD) *Note: MUST see a licensed psychiatrist to certify this condition. If the qualifying patient is a minor, the prescribing physician must be a pediatric neurologist, pediatric gastroenterologist, pediatric oncologist or pediatric palliative care specialist. You can apply for a pediatric patient medical cannabis card here. To request additional conditions be added to the list, please follow the instructions here. In Delaware, Caregivers can be assigned to medical cannabis patients who are physically unable to purchase cannabis by themselves. Anyone is able to apply to become a licensed caregiver, however a registered patient must be included in the application process. Individuals can apply to become a caregiver by filling out this application. Completed applications can be mailed to the address listed at the top of the application. 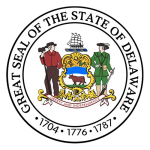 Delaware’s Department of Health and Social Services is responsible for forming the state’s medical cannabis program. The state is currently in the process of implementing a seed-to-sale traceability system, which will require all Compassion Centers to enter data into a universal monitoring system offering transparency and accountability to the state’s medical cannabis program. Info will be updated here as it becomes available. For the latest cannabis-related legislative updates on Delaware, check out our Cannabis Bill Tracker! DELAWARE SUCCESS STARTS WITH CONTACTING US!